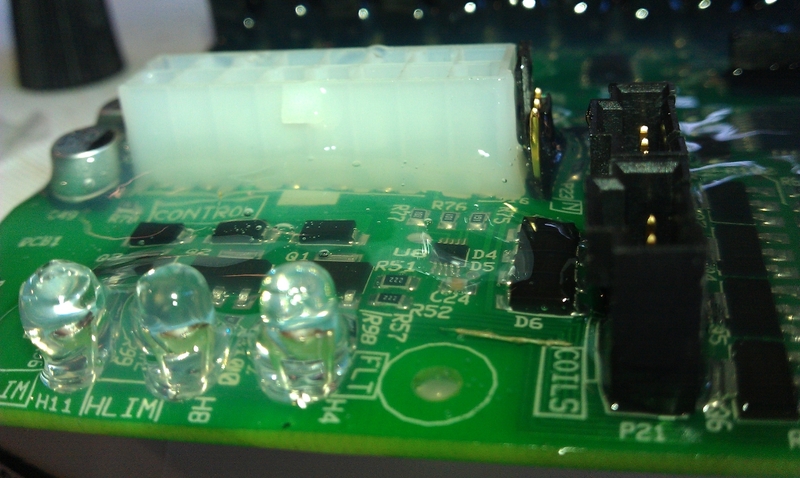 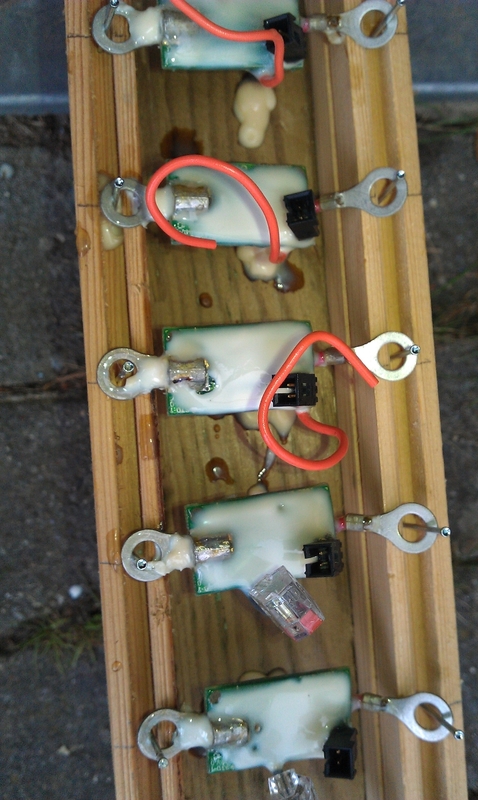 We have covert the boards with silicone grease and latex, to make them water prove. 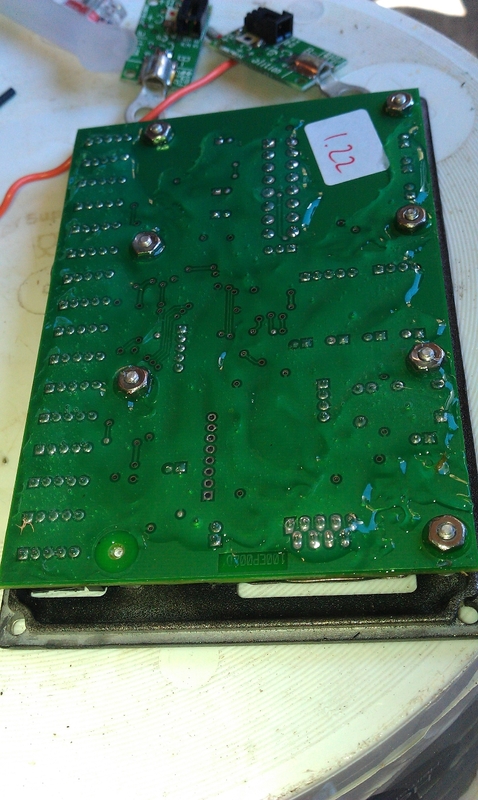 See pictures for more details about the water proofing. 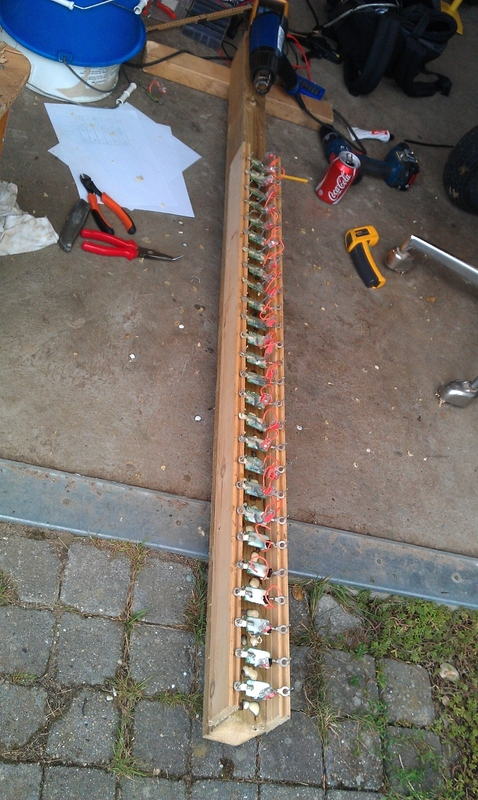 First we made the drying wood. 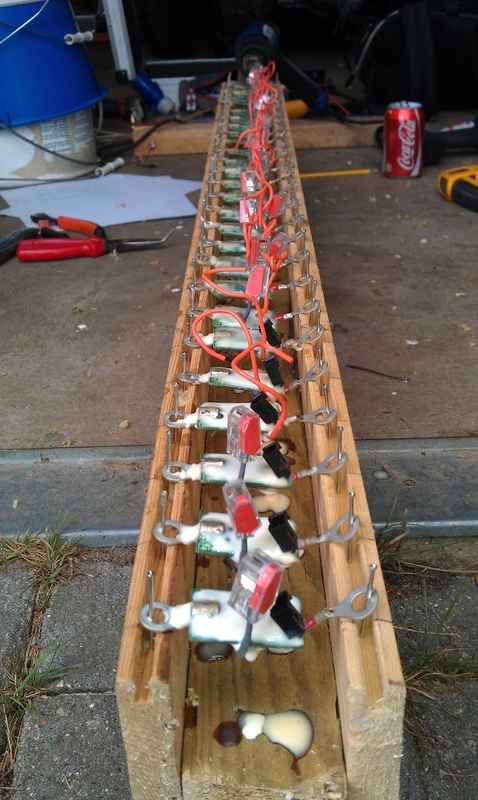 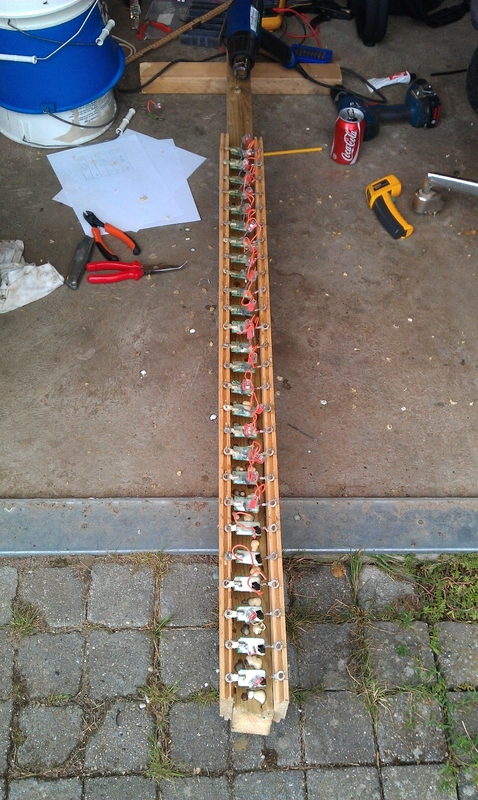 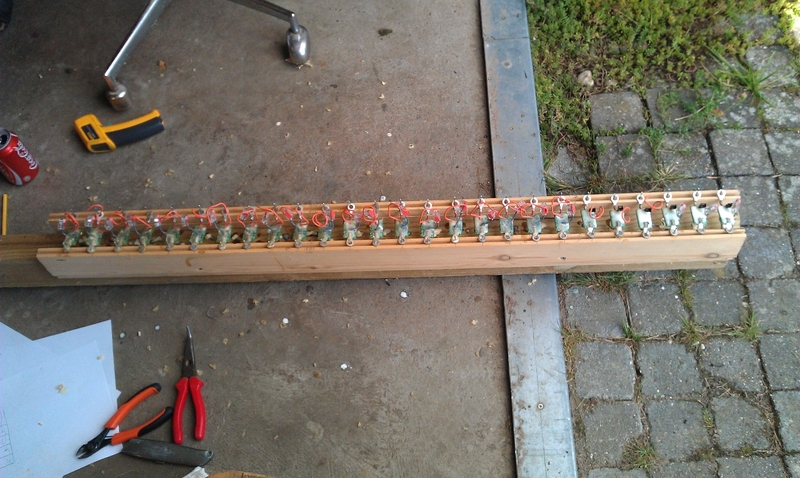 We put nails to hold the boards and a heat gun to deliver heat and a air flow to the boards. 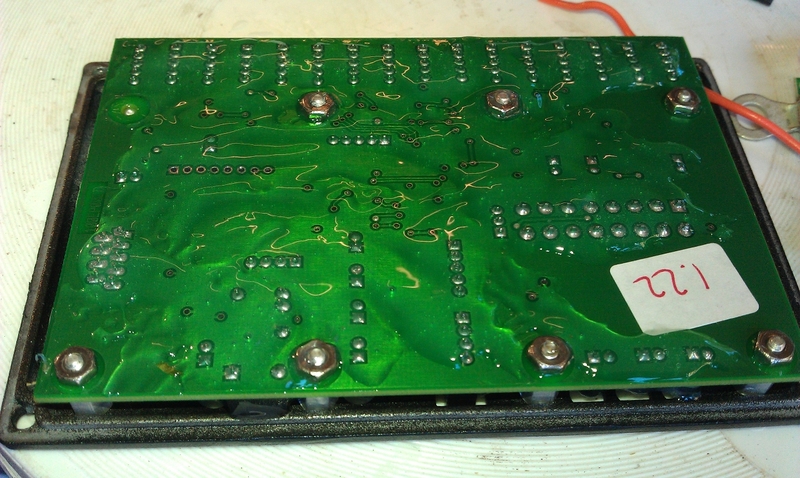 Then we greased the boards with silicone grease. 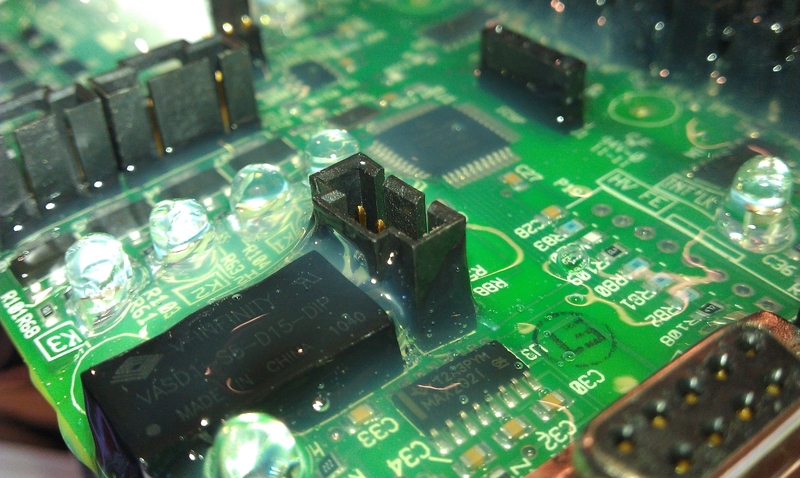 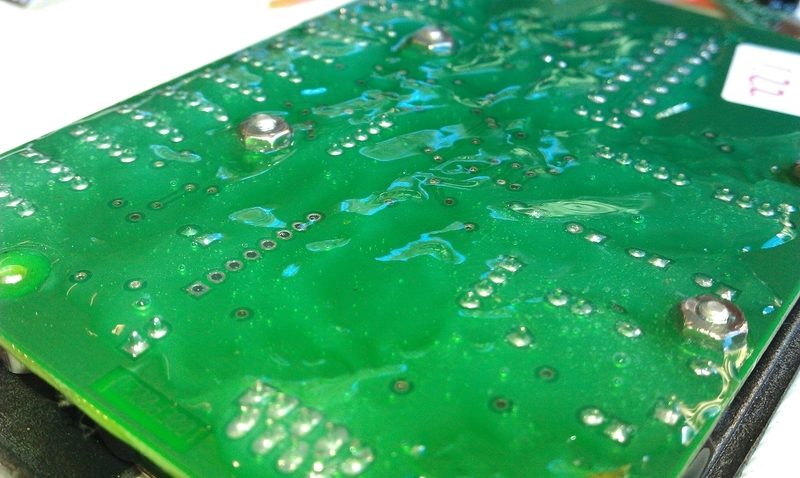 The silicone grease is non conductive and resists water. 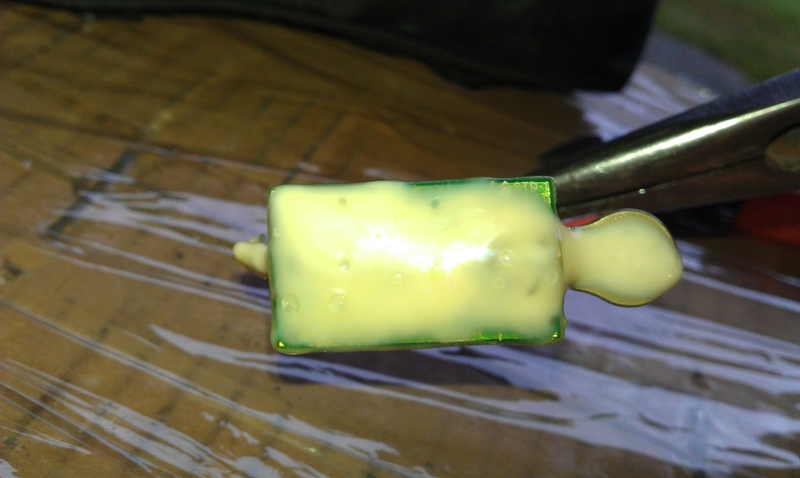 But its not solid and will stick to dirt and other stuff. 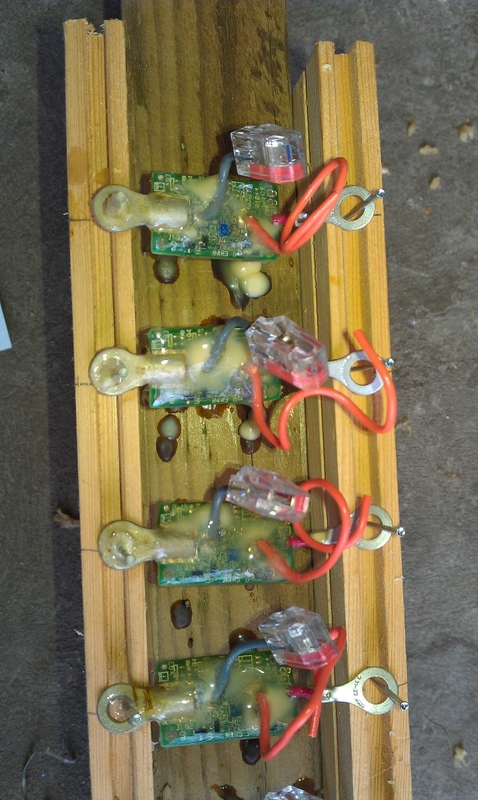 To protect the silicone grease we dip the boards in latex and let it dry at the drying wood. 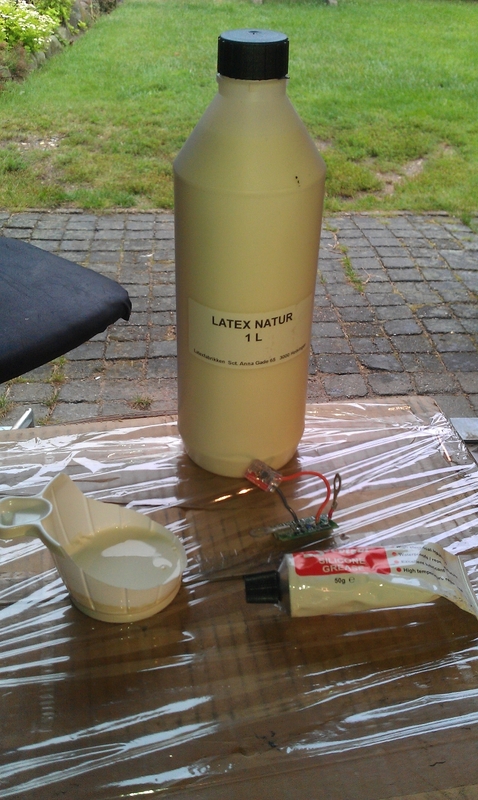 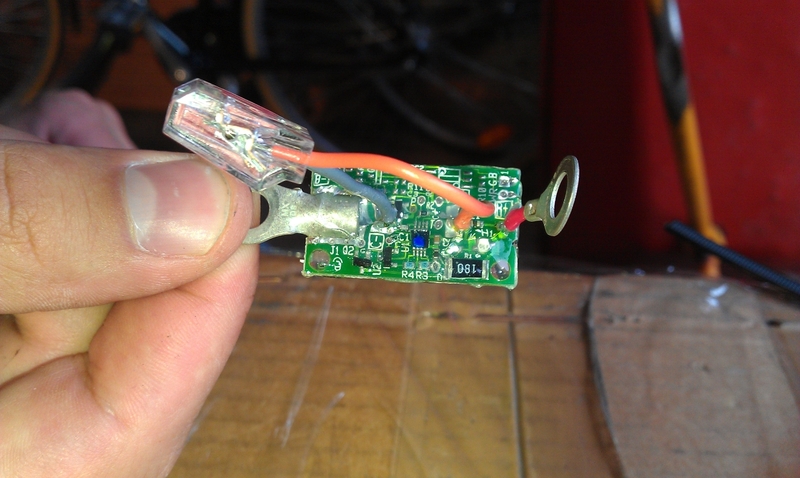 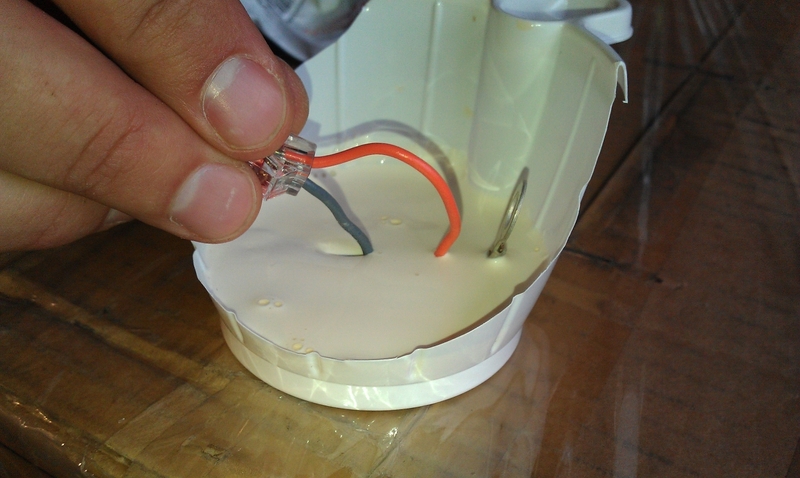 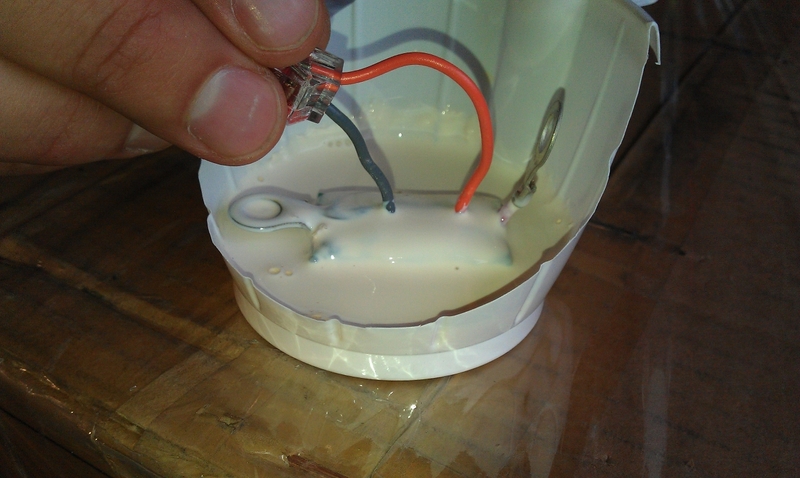 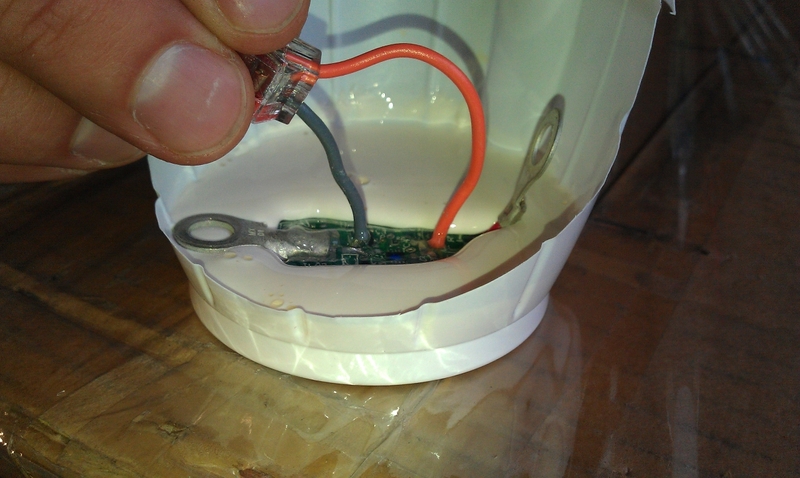 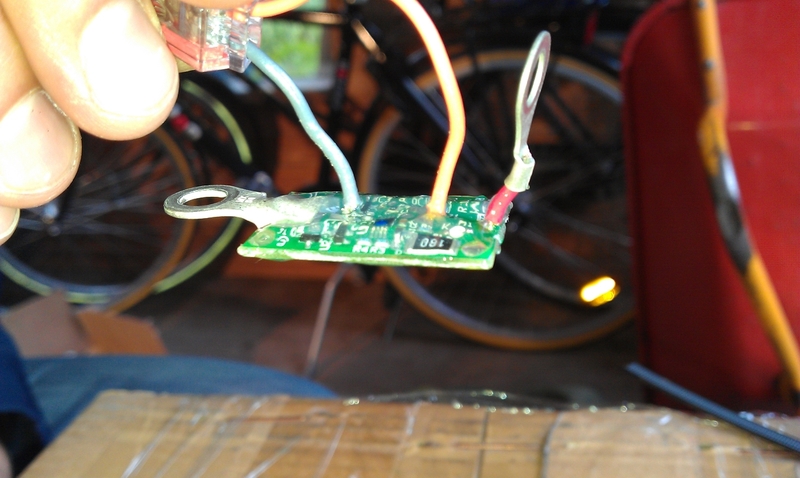 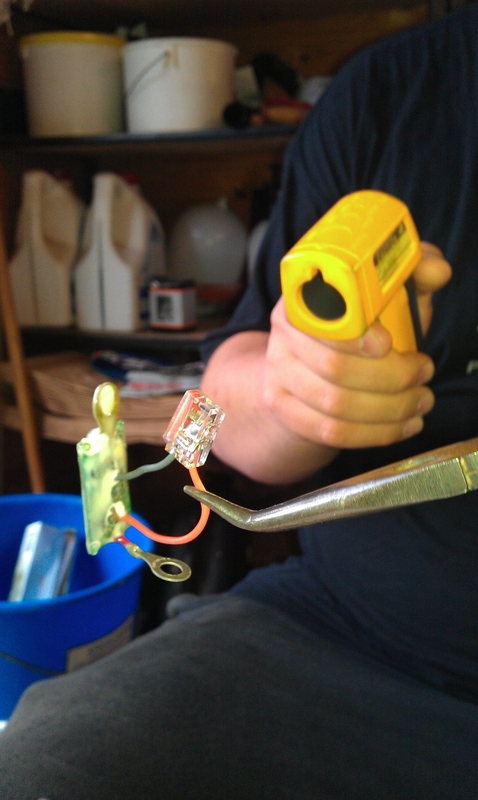 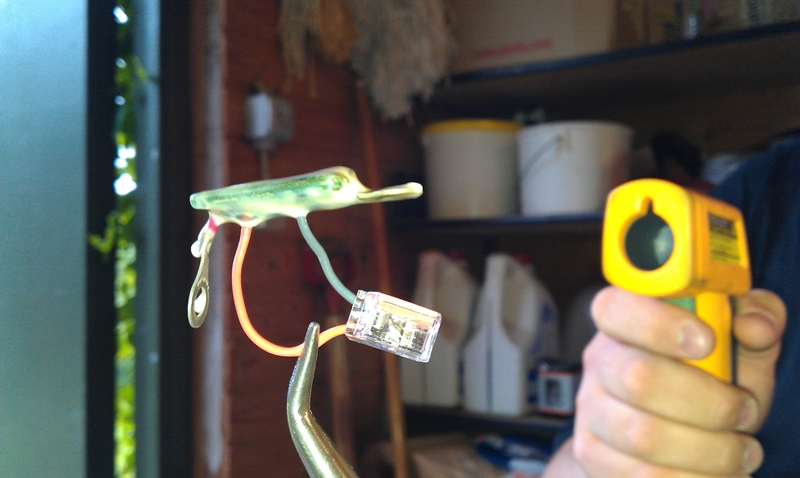 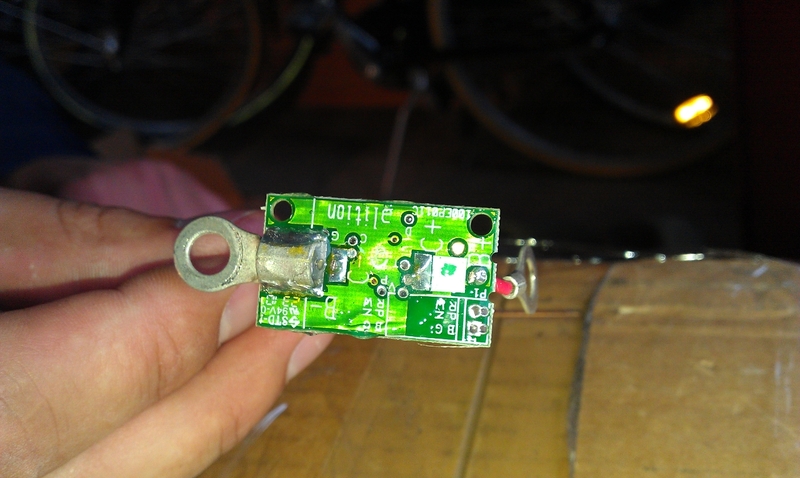 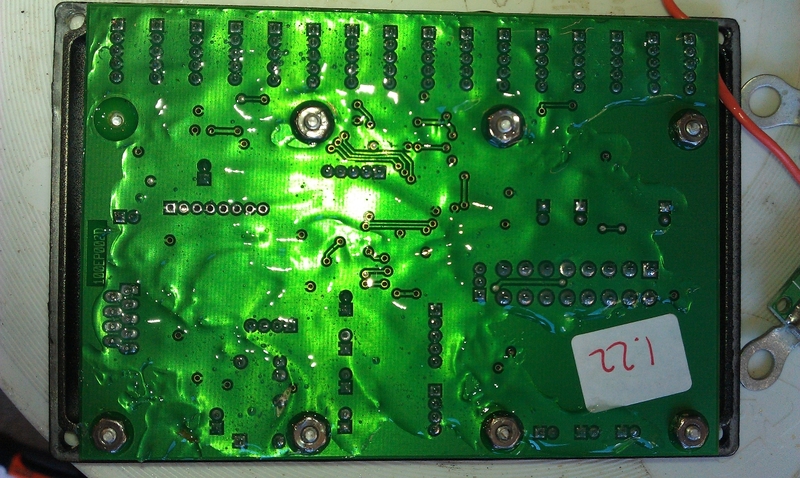 Latex are non conductive when its dry. 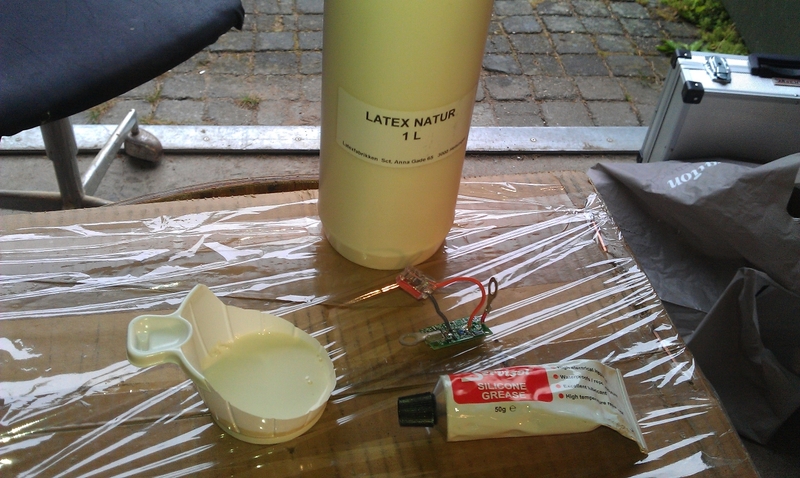 If we not put the silicone grease on the boards, the latex will react with the components in the drying process. 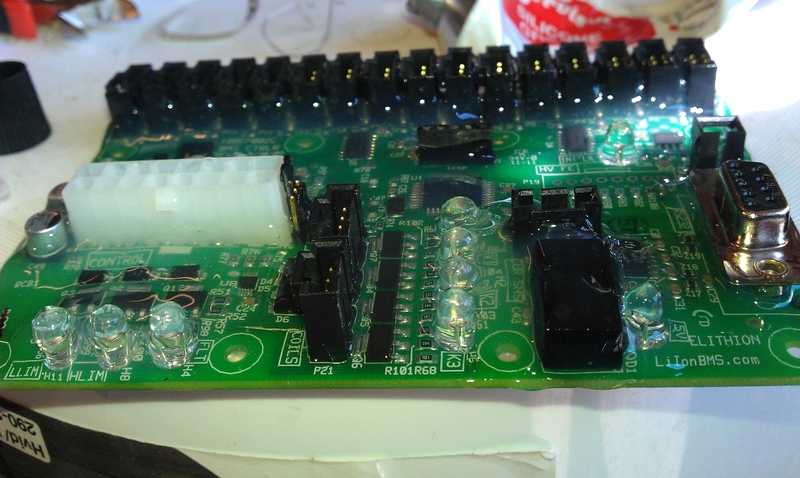 Cut the latex off the connection parts, and the board is waterproof. 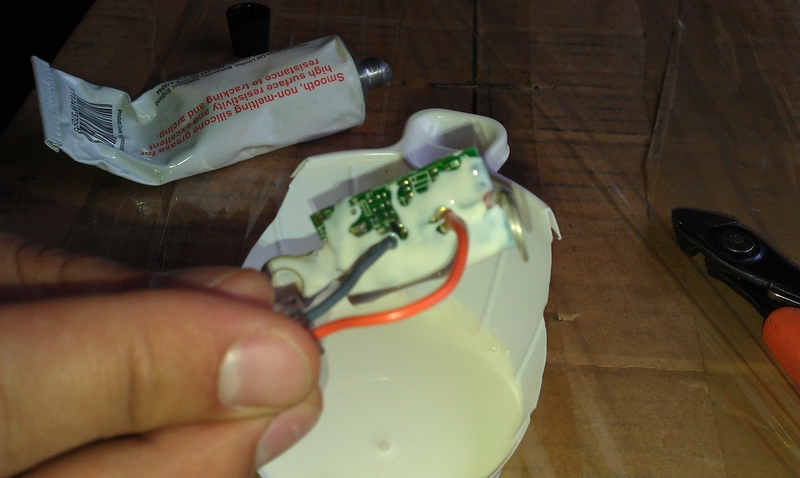 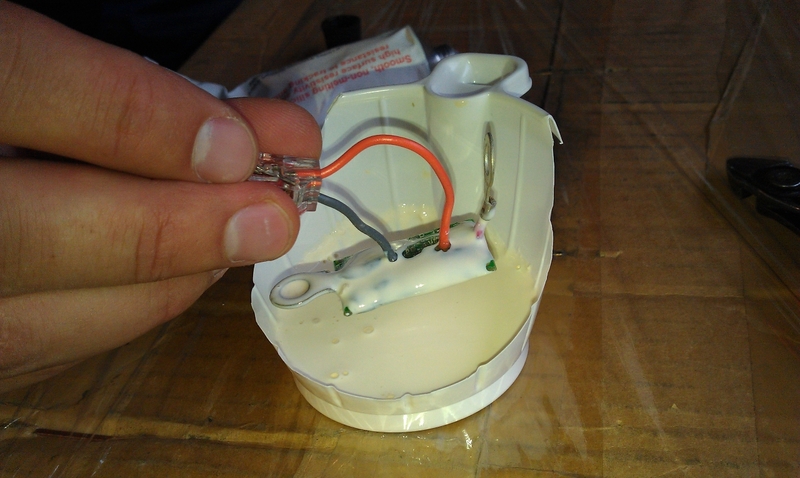 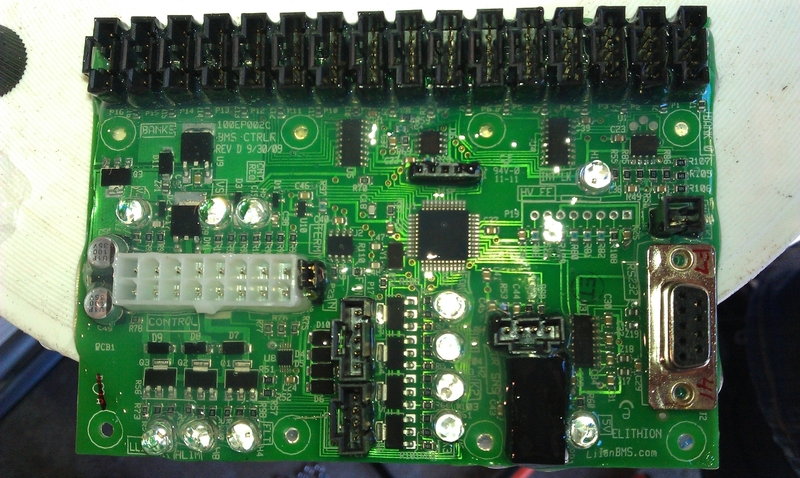 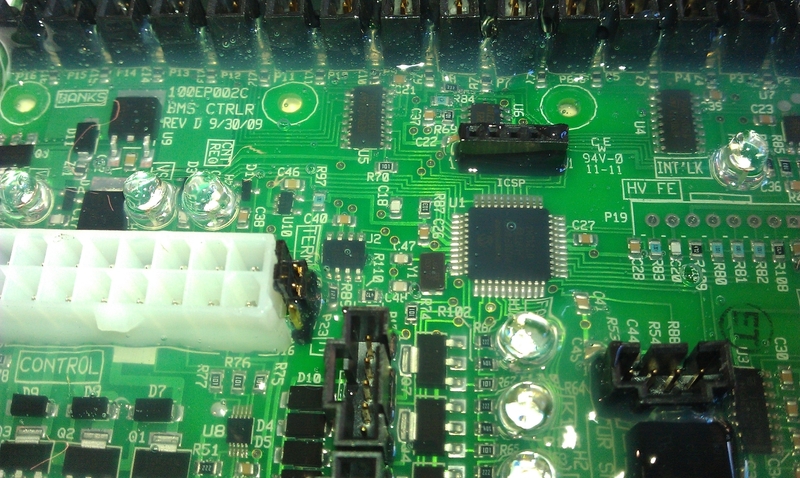 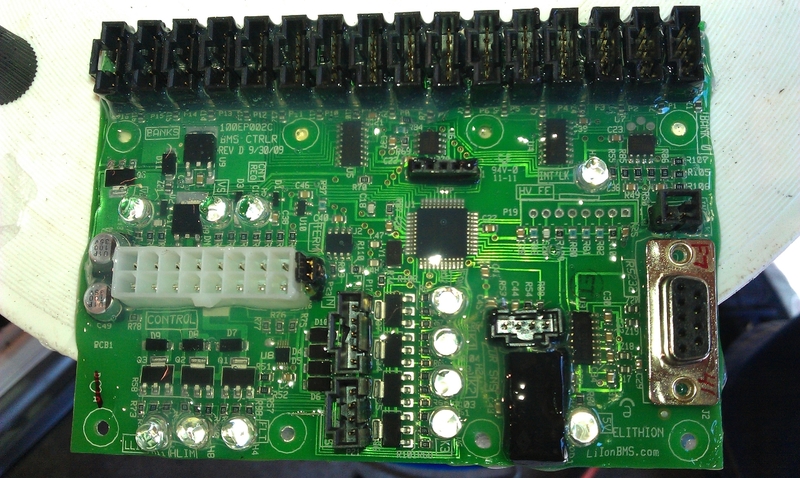 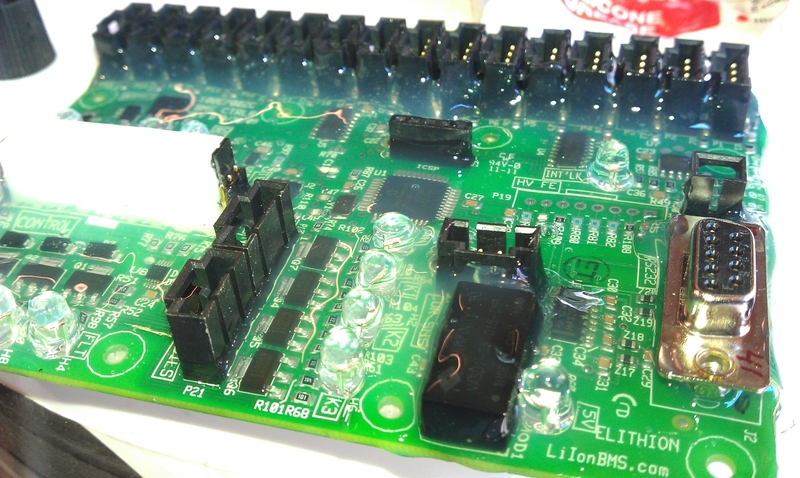 Inside the main controller we cover the print board with the silicone grease but skip the latex due to the place where the controller is placed.